In these more austere times, any way we can save money when doing up our homes is well received. Upcycling is big news now and more and more of us are finding ways to reuse old furniture and accessories, putting our creativity to good use. Working with wooden pallets for home decor has become very popular recently, in fact one of my most popular posts is the one featuring lots of ways to use wooden pallets. 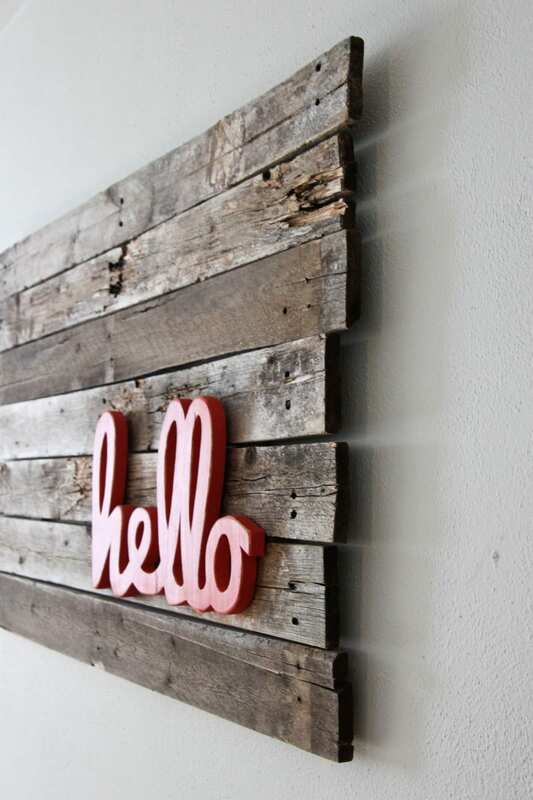 So with that in mind, here are some of my favourite ideas for pallet wall art. All of these ideas can be created at home with a little imagination and flair. They make something unique that you won’t find in any high street shop. Well not yet anyway! This is so pretty and so stunning. 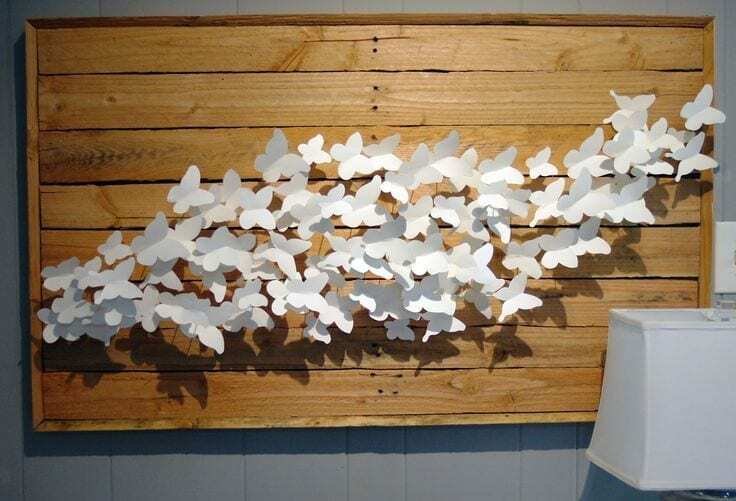 Lots of paper butterflies mounted onto a pallet block. Simple and effective, courtesy of Today’s Nest. I just love this one. If you know me well, you’ll know my current love of anything antler based so this one caught my eye immediately. If you hop over to Megan’s blog she gives you a full tutorial on how to make this. Antlers not for you? Why not turn it into a clock? 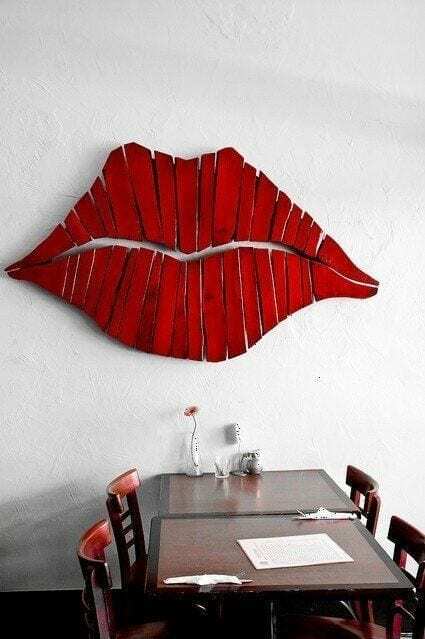 Another fabulous piece of pallet wall art ideal for Valentines! Again if you fancy creating something like this for your own home, check out the tutorial on Infarrantely Creative. I’ve seen this one on Pinterest lots and it always gets my attention. I love that it’s quirky, rustic and battered. It’s a real mix of the contemporary with the font and word positioning, with the old. I would have this on my walls! And again there’s a great tutorial over at the Winthrop Chronicles. 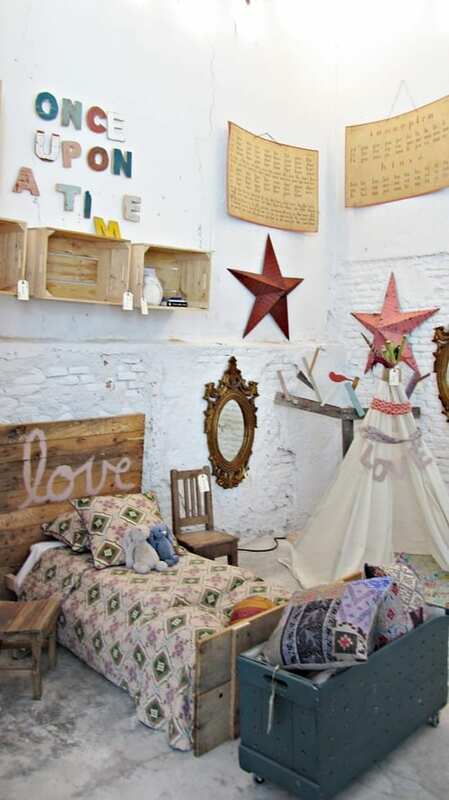 Taken from a lifestyle shot for the pop up shop, Madrid in Love this one illustrates how wood can be used to create beautiful, but also practical interiors. The wooden wall art / shelving is a lovely way to store and display childhood treasures. Ok, so they might not be for you, but how cute and quirky are they?! This one just goes to show how stylish using a pallet can be. Again, something serene and stylish with a vintage feel. 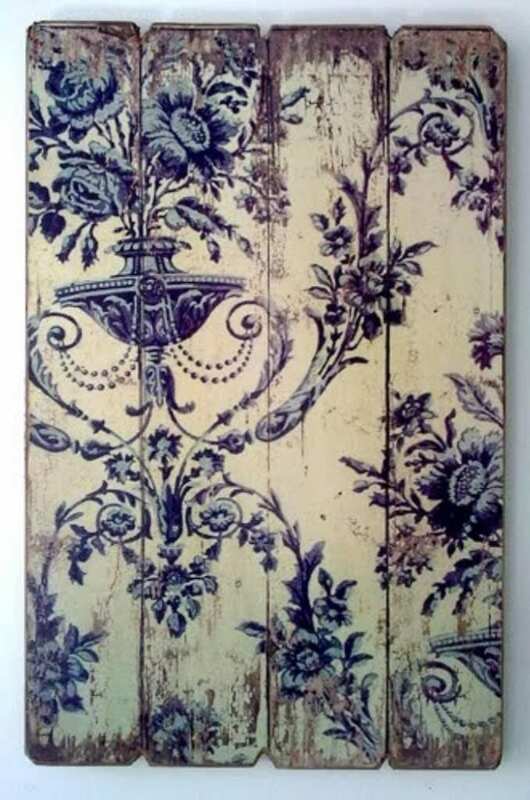 Beautiful pattern is transposed onto old battered pallet to create gorgeous pallet wall art. 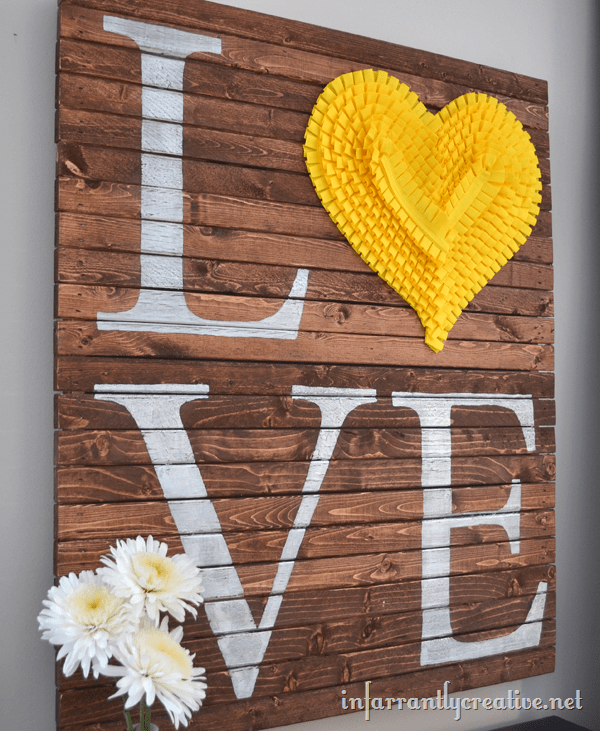 You can find lots more fabulous Wall Art ideas on my Pinterest board. Thanks so much for including my pallet antler wall art in your roundup!! Glad that was ok Megan 🙂 It’s one of my favourites! This is great! I absolutely love wall art…it’s something that I hope to delve into more when we buy a house. Really like the ‘hello’ sign and ‘love’ one…so quirky, fun and unique.